Congratulations Cherry Frank – from Walk to Run to Half Marathon in one year. 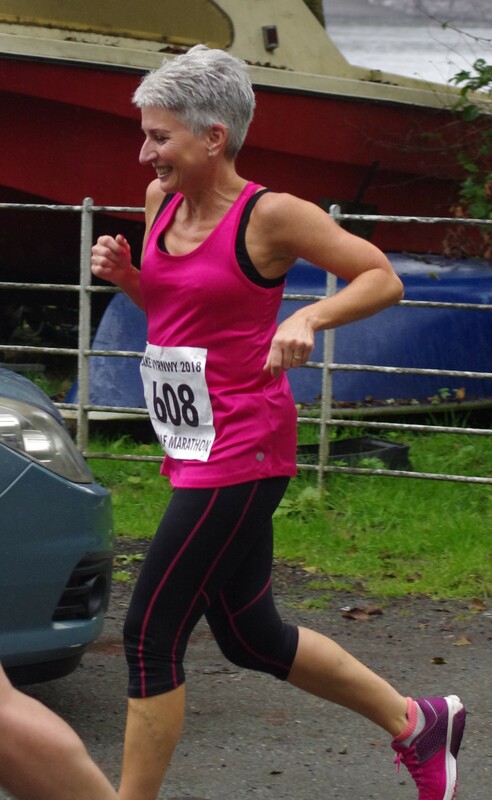 Cherry started Anne’s Walk to Run Programme in Ludlow last September. After several Park Runs and a couple of 10k races, Cherry set her sights on a half marathon. She completed the Lake Vrynwy course on Sunday in 2 hours 28 minutes 31 seconds. With the help of a training plan from Anne, including lots of chatty running, Cherry ran the whole course and didn’t walk once. What a great achievement!